2. Emotion-stirring design combined with a technologically advanced. As well as intuitive user experience and a target range of close to 300 miles. As a result to make EVs as practical, desirable and attainable as ever. Fisker Inc. is a designer and manufacturer one of the world’s good looking and desirable electric vehicles. They have breakthrough automotive technology and advanced mobility solutions. It is consequently releasing early details on a stunning new all-electric SUV design. More importantly it is pricing below $40,000 (U.S.). Furthermore, set to launch in the second half of 2021. So this all-electric luxury vehicle is shattering old notions of what an SUV can be. World-renowned American automotive design icon, Henrik Fisker, sculpted a futuristic, elegant muscular EV. One with clean surfaces and a dramatic shape. The affordable mass market vehicle features captivating design. It really touches even traditionally reserved for supercars in the past. Future-forward technologies are now an part of the SUV’s design. A small, center high-mounted radar – behind glass – replaces a traditional grill, which is no longer a necessity on an EV. A parametric pattern dominates the lower front, where air cooling directed only as needed. With the touch of a button, an extended open-air atmosphere made possible without compromising the rugged and safe structural integrity of an SUV. The vastly spacious interior complemented by a modern aesthetic and high-quality materials. The all-electric SUV will come standard with an extended range (target of about 300 miles), enabled by an enhanced +80 kWh lithium-ion battery pack. More details releasing closer to launch. Pricing and SalesSet at a base price below $40,000 (U.S.), final pricing and a drivable prototype anticipating to be revealed by the end of 2019. Fisker set to sell direct to consumers. A nationwide concierge service model is also in development for a superior user and maintenance experience. The company will begin accepting early deposits closer to the start of production. More information on timelines, as well as a website link, shared later. 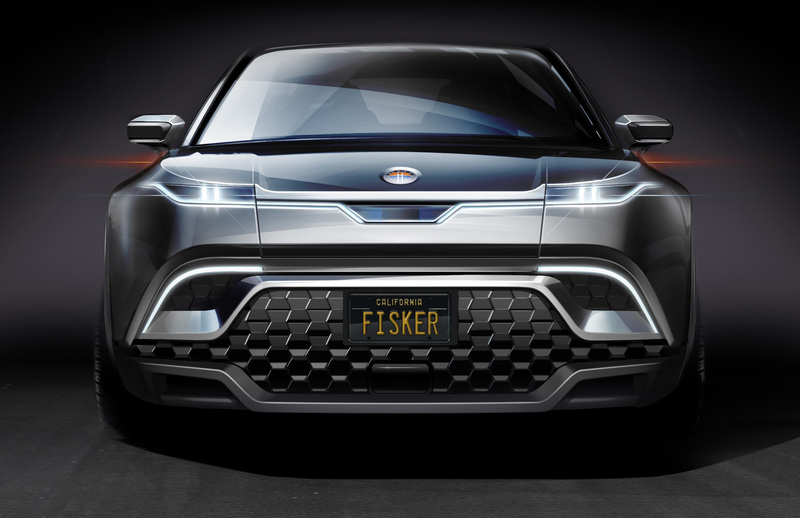 Fisker Inc. is now finalizing selecting a facility, in the United States, to produce the all-electric SUV. The previously unveiled Fisker EMotion luxury electric sedan, the brand’s low-volume flagship model, will now be introduced to the market after an affordable model becomes available. As the greatest symbol of future emerging technologies, the high-end EMotion will retake the stage as patented Fisker Solid-State Battery technology becomes ready for vehicle application and commercialization. More information and timelines releasing at a later date. So the Fisker team is thrilled to be playing a leading role in that revolution. Therefore the future success of EVs relies on creating an emotional connection with the consumer. In addition to longer range and more practicality for the wider market. Their affordable SUV, therefore powered, as a result, by an enhanced +80 kWh lithium-ion battery pack. One that pushes the limit, with a range of close to 300 miles. More like in ECO 285 miles. So their team of scientists have worked tirelessly within their in-house labs. Ones with remarkable results to date. Consequently as they move toward vehicle testing with partners next year. We believe that super luxury vehicles must offer the absolute latest in emerging technologies. Their flagship, low-volume EMotion luxury electric sedan will be the first model featuring Fisker Solid-State batteries. That’s batteries targeted to deliver more than 500 miles of range with a single charge. Previous PostNorth Carolina’s solar power output grew 36 percent in 2018 Next PostWhat Potential Do Bifacial Solar Panels Have?